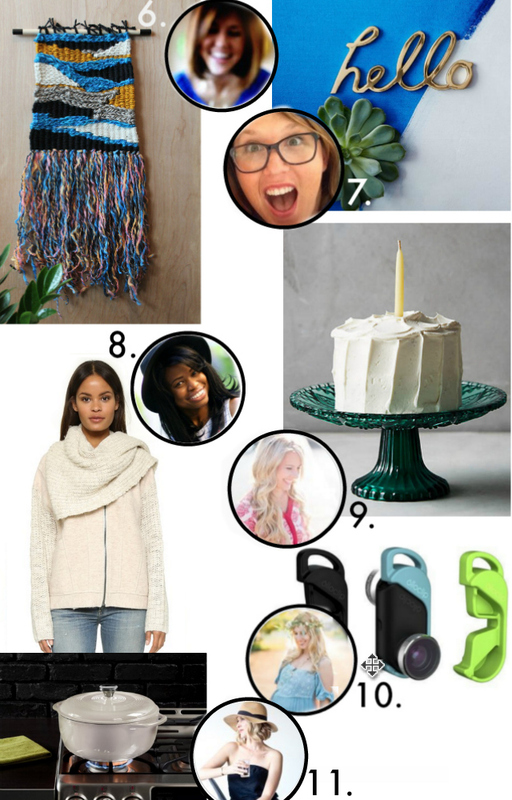 Chasing Davies: Gift Ideas: What's on These Blogger's Wish Lists? 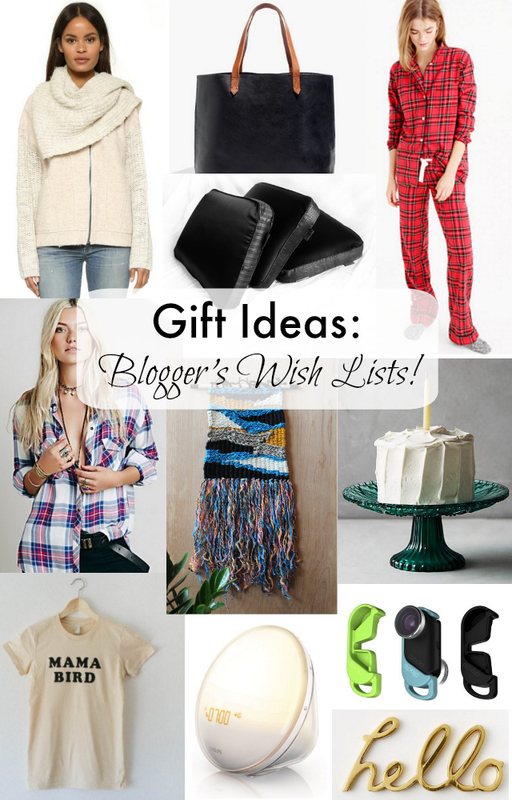 Gift Ideas: What's on These Blogger's Wish Lists? 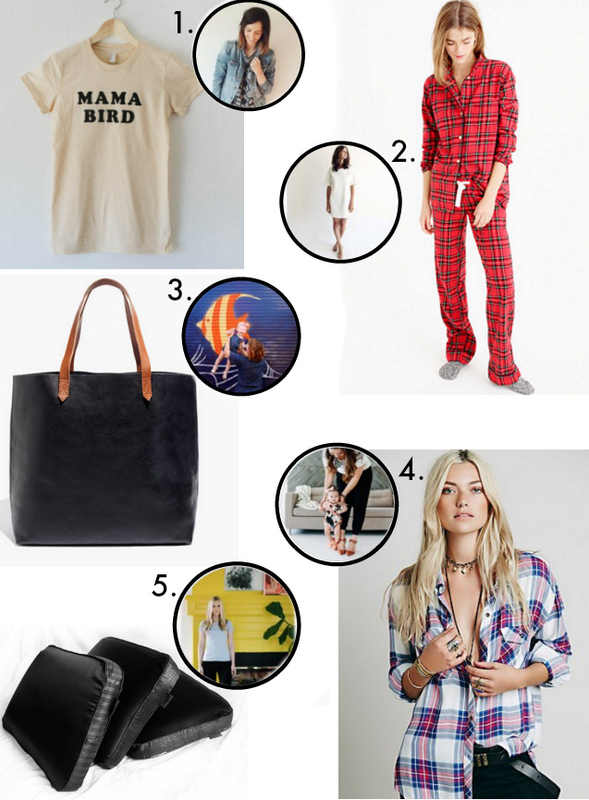 One of my favorite ways to plump up on my own wish list this season is to look at other people's lists! I discover things that I didn't know existed and things that I totally would love, too. So, I asked some of my favorite bloggers and 'grammers out there what is on their list this year - and loved it all so much, that I compiled it right here for you - for you get further ideas for your loved ones or for your own wish lists alike! 1. Kelsey of Snappy Casual is a mama of two little ones - so this "Mama Bird" shirt is perfect for her and any other mama out there! So cute! 2. Bridget of Tales of Me & the Husband has the cutest lil' (big!) family and having just returned from months abroad with her family - she's back and wanting these adorable, comfy and seasonally perfect jammies (and their an extra 30% off right now with SHOWNOW). 3. Carly is a mama to a sweet little girl and blogger at Lipgloss & Crayons - what is the most versatile, must-have item for any busy woman? The ultimate tote that's cute and will hold up! 4. Sandy of Sandy a la Mode is a fashionista after my own heart, both her and her cute little kiddies are too cute. With great taste, comes this super adorable plaid shirt that's on her list! 5. Gwen of The Makerista is known for many things - her talents in home design, her stylish eye, her beautiful photos and her hair! So on her list is of course something that I've now transferred to my own: a beauty pillow! It's has memory foam for comfort, try-silk that leaves you waking up with better skin than you went to sleep with and it's black pillow cases promote melatonin for faster/better sleep. 6. One half of Ampersand Design Studio is Morgan Georgie - super sweet, mama of two little guys and amazingly vibrant. She has the most amazing taste in home decor, style and everything in between. On her list? This super great woven wall hanging! 7. The other half of the amazing duo of Ampersand Design Studio is Carrie Kiefer - also a mama of two ( a boy and girl! ), super adorable and always smiling, she of course would have something welcoming, friendly and totally cool on her list! A brass "Hello" decor piece for any room or style! 9. I love following Cheryl of Oh to Be a Muse because she is so fashionable and adventurous! She's always up to something fun (be it a fabulous vacation or adventure in her own city), and looks good doing it. I love her item of this Super Scarf Jacket - two pieces in one and perfect for the upcoming cold! 9. Jen is a beautiful mama of 3 and is one half of the Elevate Everyday duo. Her wish list item is right on par with this season of parties, hosting and creating lovely dishes for all to enjoy and will last her years and years to come: Color-Cut Cake Stand. 10. Lynzy is a mama, blogger at Sparkling Footsteps, nurse and photographer (not busy at all...), and her photos are of course always beautiful - so I was intrigued by her wish list item of a 4-in-1 clip on lens for your iPhone because I use my phone more for taking pictures than for talking. 11. Bev is a popular food blogger/recipe creator at Bev Cooks, mama to TWINS (!!) and keeps people entertained on Insta with her witty descriptions. Anything this cute lady has on her own wish list for the kitchen, I'm absolutely adding it to my own. This Dutch Oven is not only pretty but great for all those winter stews, chilis and more! And curious what is one thing on my own wish list? The top thing (of the material things) is this sunrise alarm clock! I'm hoping this is going to change my life - and while that may sound super dramatic, I've heard great things from friends who have something similar! Such a better and more natural way to wake up (by light!). I hope you found some itms that you are excited about for your own list and/or that match the loved ones on your holiday shopping list! Don't forget to for later!